Dance Mogul: What was the inspiration behind your company? Keilah Glover: As a young child my goal was to become a dance teacher, so my destiny was fulfilled when Go To Heaven Dance Company was born. The inspiration came from my daughter Heaven and the company was named after her in 2008. 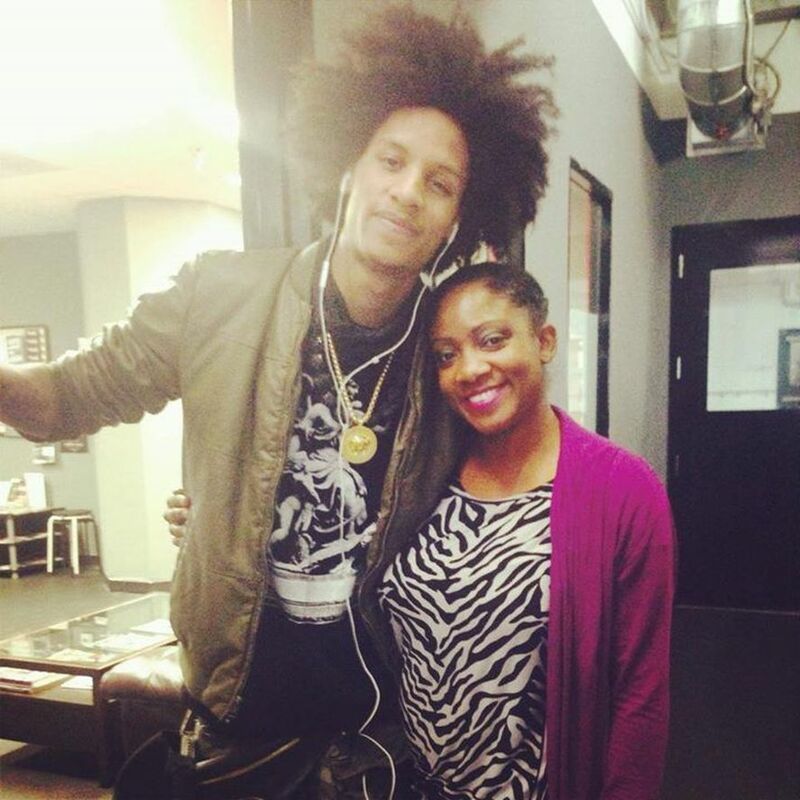 Dance Mogul: What were some of the obstacles you faced while growing your company? Keilah Glover: I have had to overcome racism of business owners calling my students “dirty” just because they were black, I have had to prove my naysayers wrong, by still succeeding in spite of their disbelief. And I have had to start from nothing to something, from South Central to Hollywood, from doubt to belief, from losing dancers to comforting dancers who lost loved ones. We were on our way to our second show, the Evolution of Dance Part 2 and all of the dancers were involved in a 3 car crash. Airbags were deployed, cars were totaled and people were injured but they still danced that night and had a great performance by the Grace of God. As a Divorced, Single Mom, life has NOT been easy. I was broke, broken and I had nothing left. I lost my home, my cars, but I still had my talent and my vision. Always putting everyone’s needs before my own, and always striving to reach the light at the end of the tunnel. After almost giving up on life, I started my dance company with negative $54, (yes I said negative) and now we have been successfully in business for 8 years, this is our third year in Hollywood and we have now expanded to a Studio in Long Beach. God is so awesome. I’m giving Him all the glory because it’s not by my own might. I’m just sharing my testimony to a people out there that might be on the verge of giving up. Don’t! Let God fight your battles and give all your burdens to Him. Your best is yet to come. Be confident, do something that makes you feel good, happy, and always do your BEST! 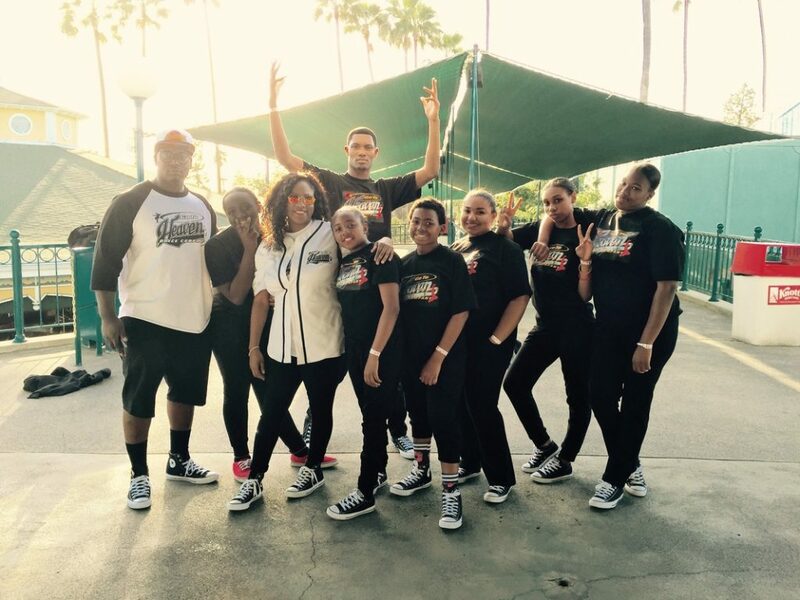 Today Go To Heaven Dance Company has provided thousands of students with dance training from the Los Angeles Unified School District, Churches, and throughout the community. 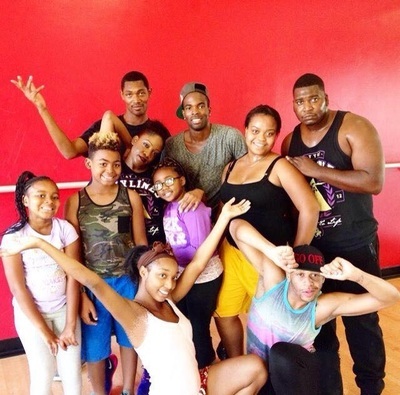 Dance Mogul: How did it feel to complete your first year of dance and business? Keilah Glover: It was honestly easy for me the first year of the dance business because it was just me doing a lot of paperwork and running around. I would travel to different schools in the Los Angeles Unified School District to teach dance. 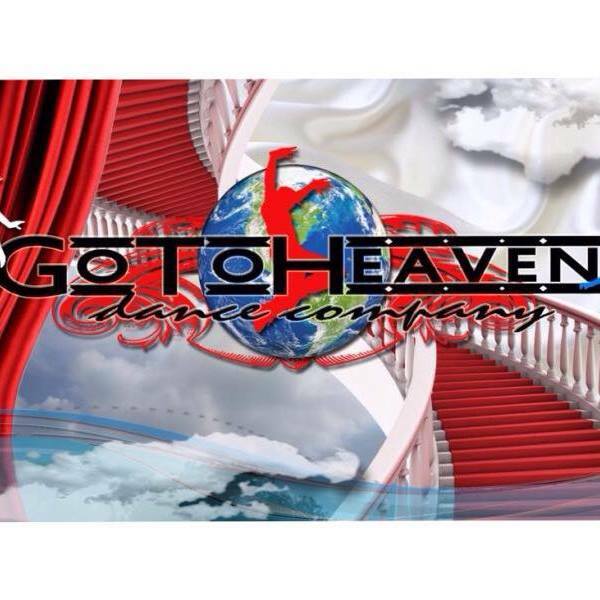 Go To Heaven Dance Company started in January 2008 as an after school program for LA’s Best which is one of the largest after-school providers in the country. GTH taught the curriculum “Evolution of Hip Hop” which was learning the dance, history, and culture of African Dance, Break Dance, Hip Hop, and Krump Dance. GTH served over 100 schools and thousands of students. It was much harder when I added employees and rented studios because I was now responsible for a large overhead. I would often work for other schools to make sure I made payroll. So after working 12 hours a day for other people I literally got sick and started fainting, so I eventually had to leave those jobs and start working full-time for myself and put in the same time and energy for myself as I would for other people. Dance Mogul: What have been some of the most memorable moments for the company so far? Keilah Glover: One of the most memorable moments was one of our Showcases called Evolution of Dance Part 3: Past, Present, and Future, where we honored great artist, and my sister Amittia Smith flew out for Alabama to be a part of the show. We did a skit about a sister saving another sister’s life and that was really a pivotal moment in our relationship. I’m happy that dance show made that moment possible. Another great moment was our performance at the Taste of Soul, Dance All Day Event at Lula Washington Dance Theatre. There were over 200,000 people in attendance at that entire event and we received a standing ovation and were told by the legendary Lula Washington herself that we did a great job. 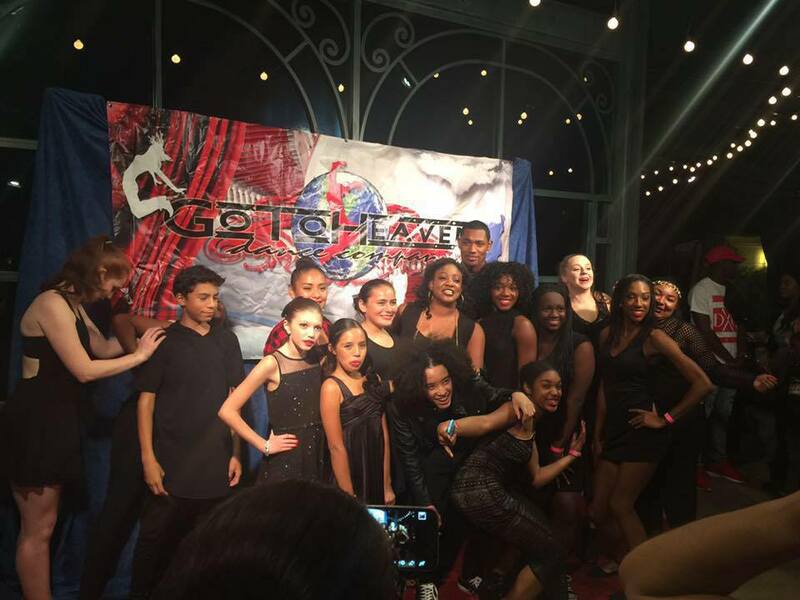 Keilah Glover: Our event Evolution of Dance Part 5 was on November 12, 2016. Also on December 10, 2016, Go To Heaven Dance Company will be performing at the Pre Game show for the NBA Clippers at the Staples Center. Contact [email protected] for discount ticket information. 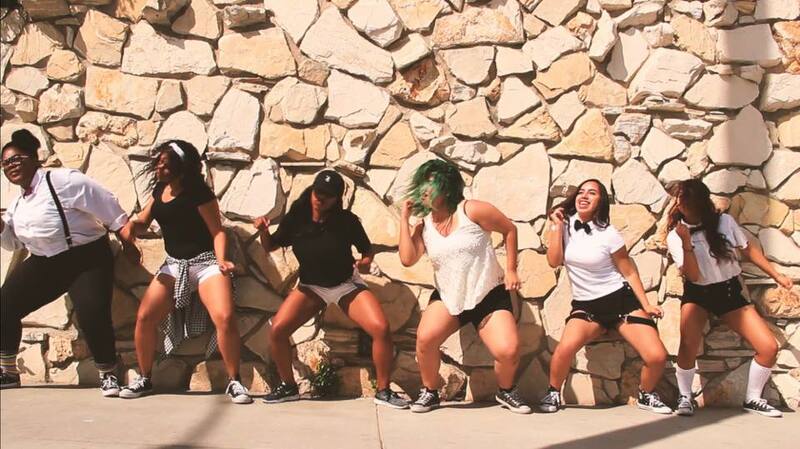 GTH also has classes every Saturday at the International Dance Academy 6755 Hollywood Blvd. Suite 200 Los Angeles, CA 90028. We are adding more classes during the week including Jazz Boot Camp, Tiny Tot Ballet/Jazz Combo Classes, Hip Hop, Modern, African/ Caribbean, Contemporary and much more. Keilah Glover: The advice I would give to the next generation of dancers is to never give up on your dreams. Your dreams can manifest into reality if you only believe in it. Never let someone defer you from your goals and dreams. Set your goals to impossible so that they are only possible with God. You can do All things through Christ which strengthens you. And lastly, never let anyone steal your joy! Dance Mogul: How will you use your company and the arts to bring awareness to the current social issues facing our country? Keilah Glover: Go To Heaven Dance Company is a Christian Based Company that believes in sharing the gift of dance to all nationalities, cultures, religions, genders and without biases. We recently performed a piece at the BlakTina Dance Festival which is an organization that brings the Black and Latino/a community together through dance. GTH presented a piece called “We Matter” which depicted the struggles of African Americans and ultimately showed at the end that all we need to overcome these obstacles is love. Dance Mogul: Is there anyone you would like to thank for helping you on your journey so far? 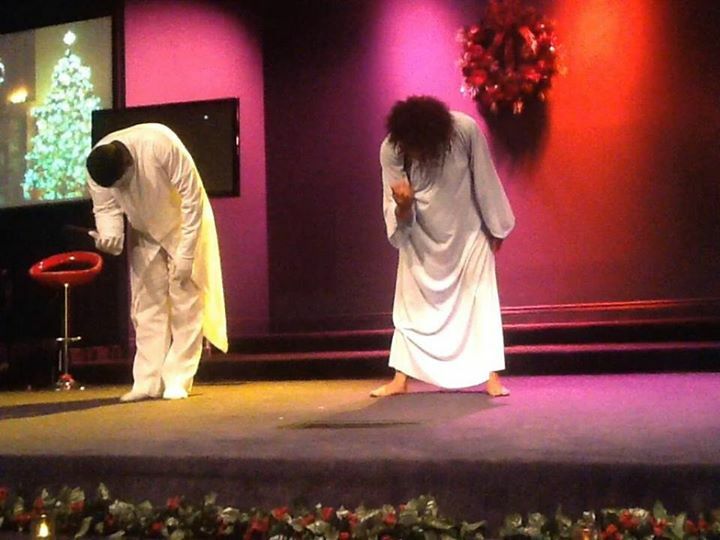 Keilah Glover: I thank GOD first who is the Head of my life and gave me the vision for Go To Heaven Dance Company. There is a message in the name of the company that is not just a name but my calling in life to bring people closer to God through dance. I thank my Grandmother Jannie Malcolm Hall, may she rest in heaven, she is instrumental in making sure I finished college with my Master’s Degree in Education and her words of wisdom “Don’t let anyone steal your Joy” is the motto I live by today. I thank my Mother Adina Ross for giving me life and investing in my gift of dance, from the countless hours of dance classes she paid for to the countless dance events she has supported me with, I owe her the world. I thank my sister and best friend Amittia Bradley Smith who has taught me to learn from other people’s mistake so that you won’t make the same mistakes on my own. I thank my daughter Heaven Honey Yaa Lomotey because she is the reason I grind so hard and who will have this legacy to carry. To my Uncle Leva Ross, thank for believing in me in the beginning and designing the logo and helping me to develop my brand. Thank you to my dance teachers Alise Cayen and Dr. Tedd Davis.Thank you Granddaddy Leve Ross Jr. who was one of my first investors. Hayden and my Pastors Rev. Michael Metters, Rev. Reginald Ridgeway and Brother Rev. Rodney Smith. There are so many people to thank the best words to say is that I LOVE YOU ALL. To All the Go To Heaven Dance Company Dancers YOU ALL ROCK! And thank you to my wonderful, talented and educated staff of Dance Instructors, Chateria Ray, Renee Burke, Gary Reagan, Brittney Benson, Nupeir Garrett. And last but not least, to Deonte Newell who is the Artistic Director of Go To Heaven Dance Company, words can’t describe how much you mean to me, you and more than a business partner to me you are my brother and your gift of dance will shake the Whole World up. Thank you and I love you all to LIFE! If you would like to Donate to the GTH Scholarship fund click on the link below.